My tank so far, i think what i have are bluegill, green sunfis, not real sure on the larger one. Cool tank. 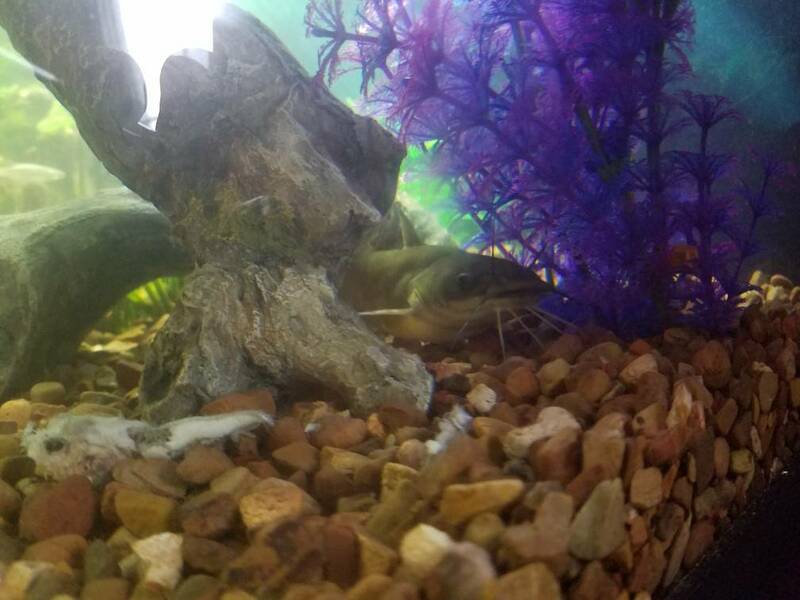 Eventually your catfish will be the last/only fish or animal left. It will eat them all. Especially as it grows even bigger. Most likely. 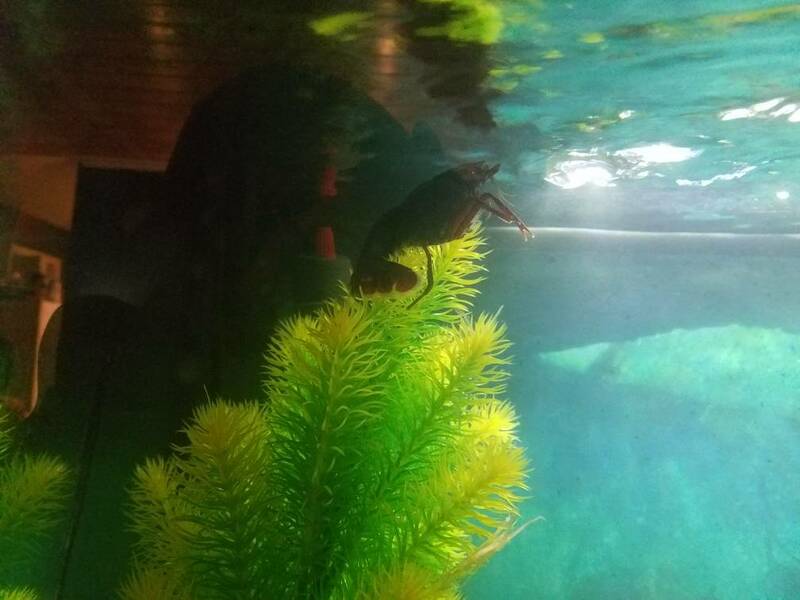 But they are pretty neat fish, so if you (OP) aren't attached to any of the other fishes, it might be pretty cool watching Mr. Whiskers grow. Nice tank. Keep an eye out for Flexibacter (Columnaris) infection -- one of the killifish has some white patches - it's very common on bait fish. 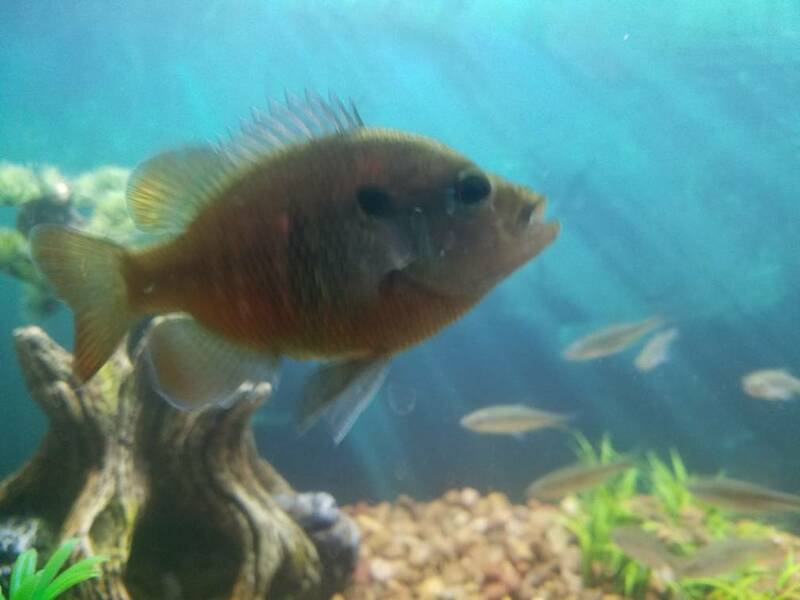 Small sunnie is definitely bluegill, larger one is not a green but i'm not sure what it is: could be another bluegill (the Florida/Coppernose variety has red fins) or maybe a longear female, or spotted sun, or ??? Yellow bullhead (white chin whiskers), golden shiners. I'm down in BR and me and my boys are stocking our 180 gal with brackish fish from lake pontchartrain and from along the coastal marsh whenever we go fishing. Lots of neat stuff! If you have a camp on the Pearl River, particularly if it is near the gulf, and even more so if you have a boat, You are in hog heaven for the unusual variety of fish seen at the junction of marine and fresh water. If you take minnow traps, scoop nets, and casting nets into the marsh, you can probably catch everything I have and more. 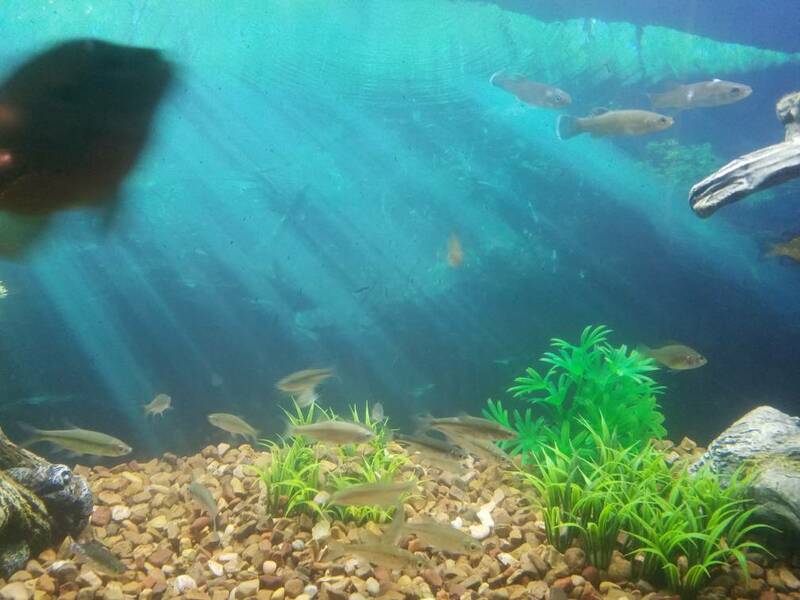 I have 180 gallon tank with baby Mullet, striped Killi, marsh Killi, least Killi, diamond killis, Blue fin Killi, Rainwater Killi, sheepshead Minnow, inland silversides, hermit crabs, code goby, sailfin molly, jade goby, and mosquito fish. I keep the tank at about 1.005-7 specific gravity, and a surprising variety of both fresh and saltwater fish are quite happy there. the bluefin killi were bought off of aquabid, native to ala and fla, but not here. everything else we caught. I'm originally from south Louisiana in Terrebonne Parish. 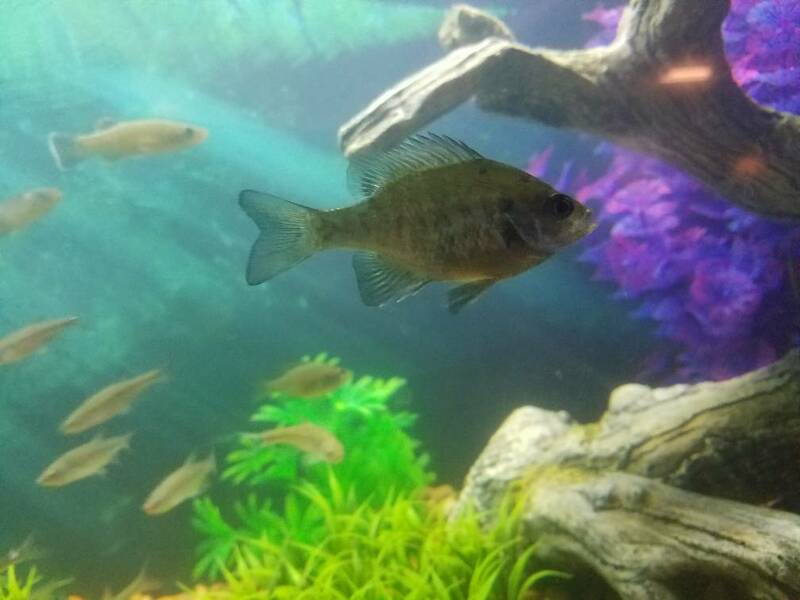 I'd say some sheephead minnows and red spotted and longer sunfish would be a great addition to a LA tank. Local names can be pretty confusing. All youse guys from Louisiana - you should consider becoming official NANFA members. I have been known to operate in your area. I'm in New Orleans and some of my favorite LA fish from the past include Flagfin Shiners and Sailfin Mollies. And speaking of brackish fish, Hogchoker are lots of fun.